New: For the 2018 season, our indoor portion pool covers almost 300 m2. 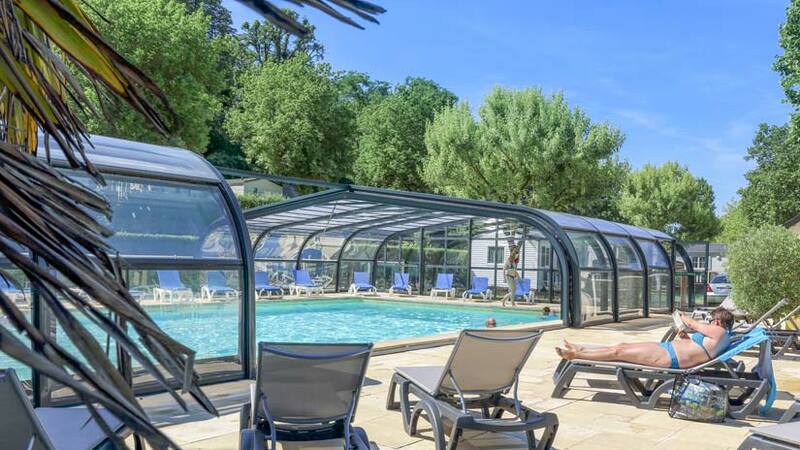 To make the most of your holiday by the Thouet in Montreuil-Bellay, we have a heated pool at the 4-star Les Nobis d’Anjou campsite. Open starting in April, there are 300 m2 of indoor pool to enjoy. 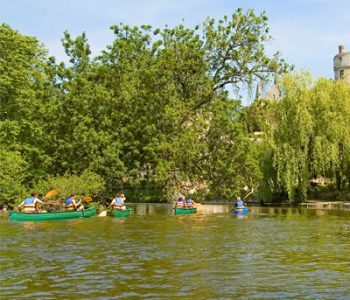 You can enjoy swimming and relaxing from early in the spring all the way to the end of the season. Perfect for a morning swim when it’s still chilly, our indoor pool area is also great in bad weather. 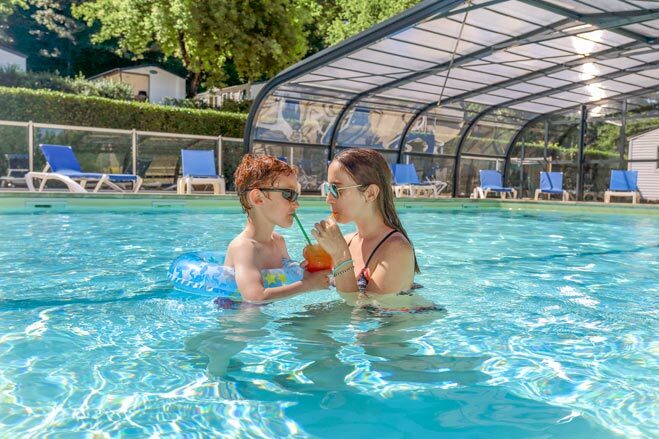 Your children can play and you can nap poolside, no matter the weather! And you can also enjoy swimming outdoors, as 8 meters of the roof are retractable over the center of the pool. In the summer, and as soon as weather permits in the spring, the pool heats up under the rays of the sun with its open roof. You can then relax after a day of excursions or a visit to castle, and even spend the whole afternoon if you like. And you can also enjoy swimming outdoors, as 8 meters of the roof are retractable over the center of the pool. In the summer we open the roof! 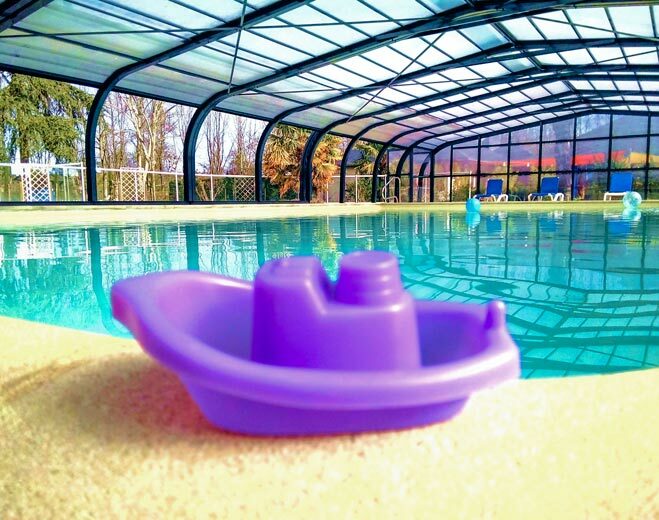 Heated to 26°C, the water is always nice at our pool at our campsite near Saumur. The pool’s large dimensions, 16 m x 8 m, make it perfect for swimming laps. 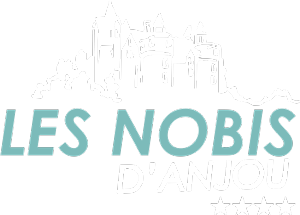 The pool at our Les Nobis campsite is open from 10:00 AM to 8:00 PM, so you can enjoy the water until the evening meal. For relaxation, sun loungers surround the pool, both on the covered pool deck and outdoors. You can enjoy the sun and watch your children swim and play in the water. 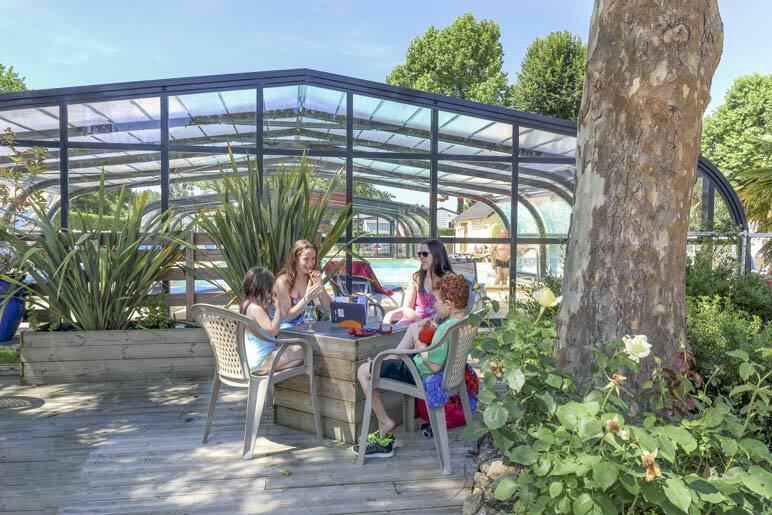 With the preserved nature and trees at our campsite by the water, the pool area guarantees you a relaxing trip to Anjou. Start the day well by swimming a few laps, or soak your feet in the water after a busy day. 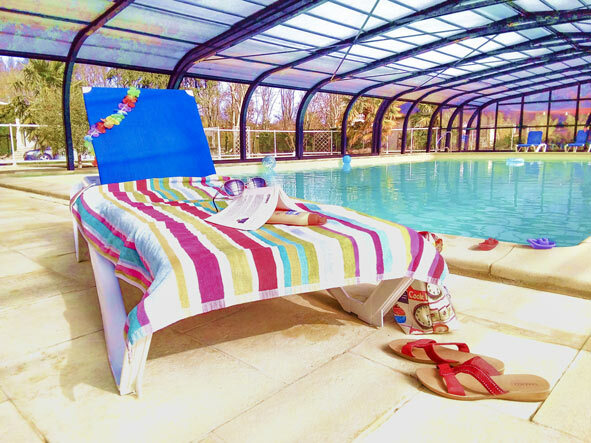 After your swim, lay out on the sun loungers to work on your tan, read a magazine or just do nothing! 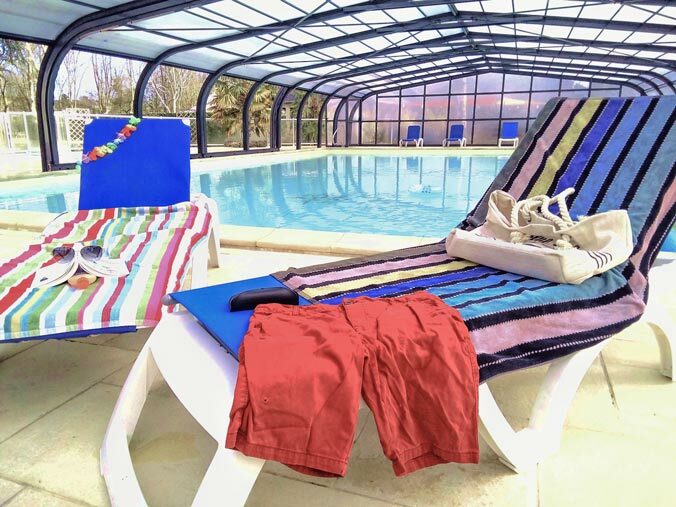 Camping with a pool means you can just laze around! The pool is heated to 26°C (depending on the weather). The pool is open from 10:00 AM to 8:00 PM, April to September. Swimsuit required (shorts and Bermuda shorts prohibited). Children must be accompanied by a parent.